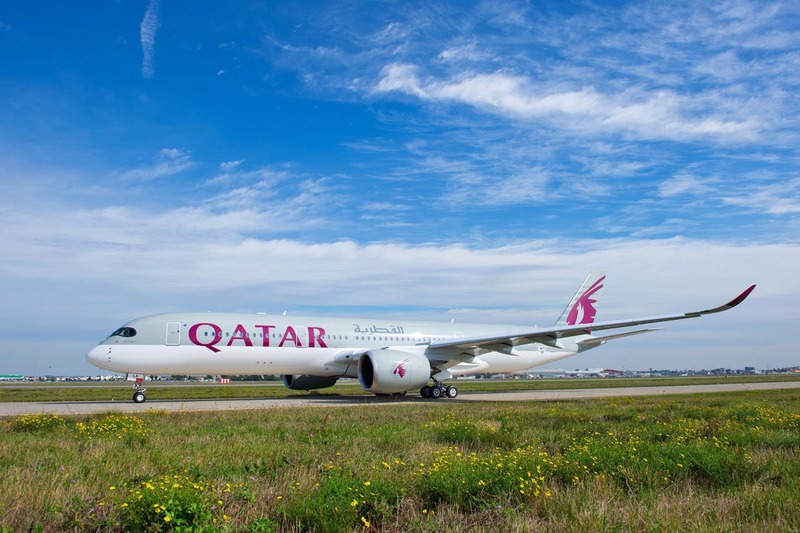 Due to exceptional response, Doha-headquartered Qatar Airways has extended its third Travel Festival, inviting world travelers to take advantage of a number of exceptional deals across the airline’s global network. The third Travel Festival boasts some significant enhancements over previous festivals, according to the airline, including extraordinary deals on Business Class seats named The World’s Best in the 2016 SKYTRAX Airline Awards, Economy Class passage, special companion fares and other enhancements. Travel Festival deals are on offer from now through the extended deadline of Jan. 18. "Passengers now have additional time to book flights to experience culture like no other in Malaysia with Philadelphia flights from $455 per person, chase an endless summer in Bangkok with flights from Dallas from $480 per person, or explore the wildlife of Kenya from Houston from $585 per person," an airline representative said in an email announcing the extension. Qatar Airways Holidays is also providing an extension to its deals on hotels and accommodation across a number of the airline’s 150 destinations. Double Qmiles can also be earned on flights booked by Privilege Club members, Qatar Airways’ Frequent Flyer Program, the carrier noted. “The New Year is the perfect time to start thinking about travel plans for the year ahead and the travel festival allows travelers to take advantage of a number of fantastic deals and promotions across our entire network,”Qatar Airways Chief Commercial Officer, Dr. Hugh Dunleavy, Qatar’s chief commercial officer, said. Offers available throughout the Travel Festival are applicable on Economy and Business Class round-trip airfares for travel before Dec. 15, 2017. Special fares are available to the more than 150 Qatar Airways destinations worldwide, including the Middle East, India, South East Asia, China, Asia Pacific, and Africa. Some sample fares include flights from Philadelphia International Airport (PHL) to Kuala Lumpur, Malaysia’s Sultan Abdul Aziz Shah Airport (SZB) from $453 per person, Dallas-Ft. Worth International Airport (DFW) to Bangkok, Thailand’s Suvarnabhumi International Airport (BKK) from $479 per person, and from Houston George Bush Intercontinental Airport (IAH) to Nairobi, Kenya’s Jomo Kenyatta International Airport (NBO) from $585 per person. t (LAX), Miami International Airport (MIA), New York’s John F. Kennedy International Airport (JFK), and Washington, D.C. Dulles International Airport (IAD). Service to Las Vegas International (LAS) is set to begin later this year. In honor of Qatar Airways’ 10 years of service to the U.S., 10 tickets will be given away to any of the more than 150 destinations on Qatar Airway’s global network. Customers are automatically entered to win when they purchase a ticket online or can enter online. Qatar Airways Privilege Club members will also have the opportunity to earn double Qmiles on bookings made throughout the promotion period, the carrier noted. 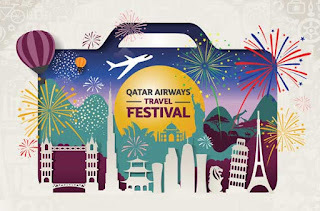 Another intriguing facet of the Qatar Airways Travel Festival is the online Treasure Hunt, through which Qatar is offering its millions of social media followers the opportunity of searching for a zero fare Golden Ticket to one of the airline’s many global destinations. Participants can get clues throughout the sale period on the airline’s Facebook, Instagram and Twitter pages. The airlines is also encouraging passengers taking advantage of the Qatar Airways Travel Festival to turn two holidays into one by planning a stopover in Doha. A new transit visa program offers visitors a free transit visa for up to 96 hours when they are en route to or from their final destination. The transit visa is only available to Qatar Airways passengers. More information on the program is available here. Finally, for the first time since starting the travel festival, Qatar Airways has partnered with leading global financial services company Visa® to provide eligible card holders with additional discounts of up to 15 per cent on flight bookings. Travelers can also take advantage of the airline’s partnership with AccorHotels and receive a 10 per cent discount when booking accommodations via the airline’s website. As well, additional benefits on flight and hotel packages are available when booking through partner Expedia.